The back Asian card game area at the Bicycle Casino is now closed, including the restaurant that used to be located in that area. Apparently, the main card area was becoming so sparse that the management decided that it would move the Asian games into the main card area to make it look busier. This obviously means there are less smaller stakes poker tables in the main area. The food that used to be served at the Jade restaurant can mostly be ordered at the deli type restaurant located in what used to be the Sushi restaurant near the new tournament room. Even most of the Asian foods can now be ordered at the deli. 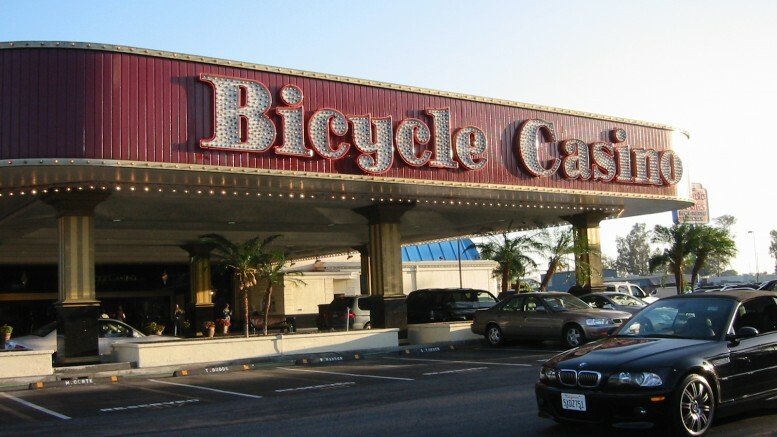 Be the first to comment on "Bicycle Casino Downsizes"